This Wednesday we released a new build of Ranet OLAP Pivot Table for HTML. Our team has been working on it for two months, and has added some new and exciting features to the tool’s functionality. Here are the most important additions they have made. We already wrote in one of our previous posts that we had been working on the heat maps for Ranet. Now, it has been implemented in the pivot table. 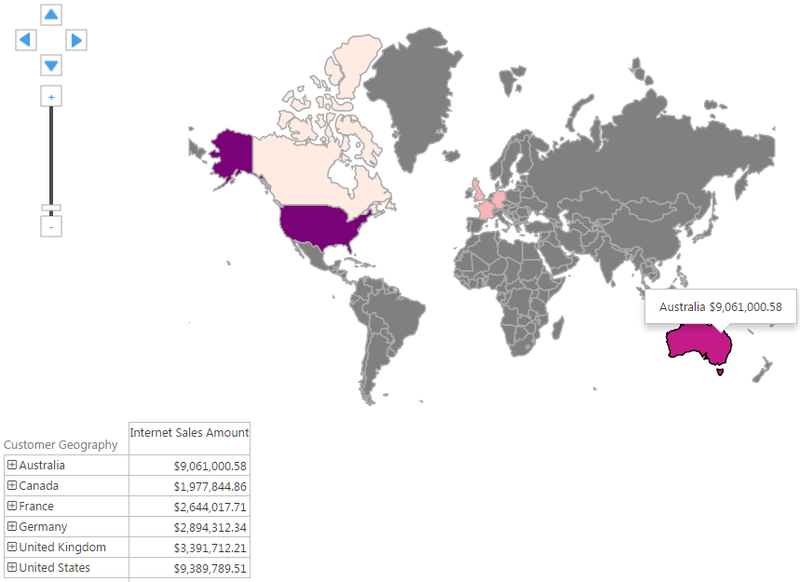 Heat map helps visualize data from the pivot table with regard to their geographical attribution. 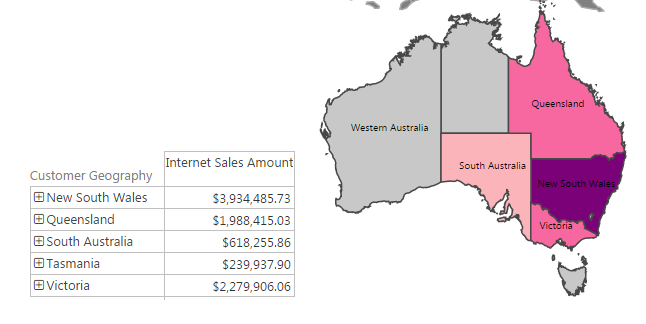 It is essentially a geographic map with different areas marked in different colors depending on the data attributed to these areas in the pivot table. Users can also view data related to various locations within one country by simply double-clicking on the country of interest. Areas to which no data in the pivot table is attributed are grey. 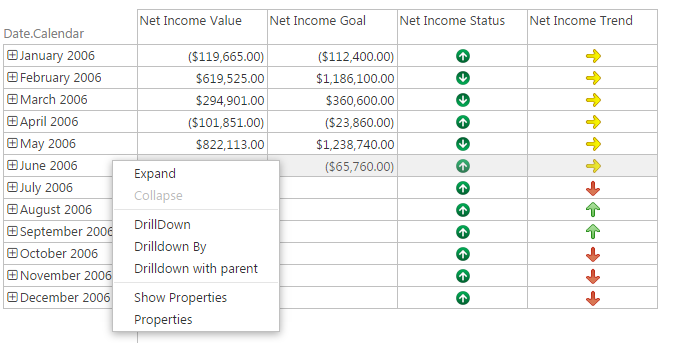 We have added an opportunity to invoke context menu for the pivot table by double clicking on its elements. The menu contains the most popular options from the WPF/Silverlight Ranet version, such as: Collapse, Drill-Down (3 modes), and Custom Properties. There is also an opportunity to scroll the table horizontally in case the table has too many columns to fit on the screen, and highlight the rows and columns in the pivot table (clicking them while holding CTRL), which enables to see and compare similar types of data for different periods of time, in various countries etc. We developed a special designer to create different styles for pivot table cells in order to highlight important data, visualize existing trends, and compare information in different cells. Users can define the color, font, images used in the cells, and highlight the data in any other way they need based on a number conditions defined in the designer. These two images show how to create different cell styles for the pivot table. The result of their application is shown above. You can download the new Ranet Pivot Table for HTML 3.7.288 here. And don't hesitate to contact us in case you have any questions about it.